Welcome to Beckenham Swimming Club’s Water Polo Section. 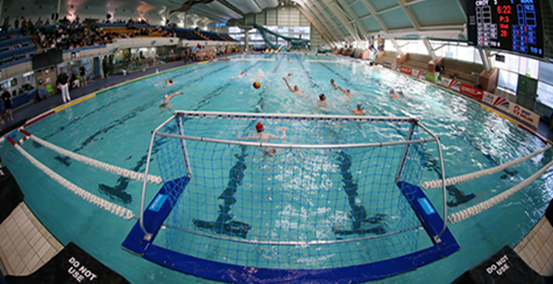 With over 125 members we are one of the leading Water Polo clubs in London and the South of England. We are proud of what we achieve directly as a club and even more proud of how we create development opportunities for our members to play at whatever level they wish from local league games to top-level international competitions. We think that water polo is a great fun. It is an Olympic sport and one of several that Great Britain helped to set up by first formulating its rules. This was done when the London League was first formed back in 1888. The rules they adopted formed the basis from which the sport has developed through to the present day. Water Polo is an extremely demanding sport! It involves physical contact and is played in deep water. Indeed, a report in 2011 rated it as the “Toughest Sport in the World” based on six categories of speed, endurance, strength, agility, skill level and physicality. It achieved a 3 point higher score than the runner up which was Aussie Rules. Of course ratings like this are always subjective but anybody who watches a game would agree that it is fast and often furious! Is this the sport for you? The starting point is that you need to be a good swimmer able, say, to complete a 400m swimming set in a reasonable time (i.e. stage 8 on the ASA’s sports skills pathway). Like almost all water polo clubs we don’t have the resources to teach basic swimming but there are plenty of swimming teachers and clubs that will. Then does the idea of a rather physical team game appeal to you? If so, are you old enough yet? The sport’s rules specify that you can’t play a competitive game until you are ten years old. You can probably start to learn the game at age 9 if you are a very strong swimmer and are big for your age. For most people somewhere in the 10 to 13 age range is probably a good time to start. You can always start later but then you’ll need to catch up at the start. Mixed games are allowed as long as all players are under 17 at the end of the year. What does training involve? We think of training as comprising three parts. First all players must be good swimmers and so some time must be devoted to “swimming up and down” in order to build and then maintain swimming speed and fitness. Then there are a set of specific individual water polo skills that need to be learned. These concern how we give/receive passes and how we throw the ball very hard when we shoot. Then there’s also a special treading water technique called eggbeater that you must learn (see below). When you are good enough at swimming and have the basic individual skills in place, training can introduce the added factor that there is always another team trying to stop you! So the better/older you get the more training time that needs to be devoted to learning the tactical side of the game. What is Eggbeater? Look at these two pictures. See how high out of the water the players are. Then reflect on the fact that the players did not jump off the bottom to achieve this. They did it through strength and through a special way of treading water that we call eggbeater. This is also used by synchronised swimmers and explains how they too can reach and maintain such height in the water. It’s all done through moving your lower legs and feet in a way that resembles a whisk. Hence the term “eggbeater”. Pathways to the Top. Beckenham Water Polo has produced a stream of players who have won international caps in senior and junior water polo. Our most prestigious achiever is Sean King who was in the GB team for the London 2012 Olympics. We were his first club side and his coach at the time remembers saying to his Dad when he was just in our beginners squad: “he’s really quite good!”. We certainly don’t claim all the credit for this. What we say is that it is our role to get people started, to develop their love for the sport and to give them a firm foundation of water polo skills. Then we can pass them onwards and upwards to representative squads for County, Region and Nation and also to national talent development programmes. We also pass them to clubs such as Invicta (for men) and Otter (for women) which draw players from local feeder clubs like Beckenham to form club sides that are good enough to compete and win national medals. We may have highlighted our Olympian but the pathway to the top is both current and well-trodden. In the last month we learned of a first senior international cap for one of our members and a junior international cap for another. Interested in joining? Come and have a look. The best place to visit us is on Sundays at Alleyn’s School in Dulwich. All five of our squads have a training slot and this means that you can easily see how skills develop as youngsters move up through our various squads. Our two senior squads also train on Tuesday evenings at West Wickham pool. If you are interested then you should read about our Squad Structure and then contact the appropriate squad coach. Cadet Squad: This is our recommended entry point to water polo. The squad is for boys and girls. It trains from 4.15 to 5.00 pm in the shallow end at Alleyn’s each Sunday using the green size 3 water polo balls. It plays practice games across the width using mini polo goals. Target age of squad members is 9 – 13 years old. Academy Squad: This is our alternate entry point for slightly older players who are already very strong swimmers. Training is in the deep end at Alleyn’s each Sunday while the Cadet Squad are using the shallow end. Then the squad has a further 30 minutes at the end of each session with the full pool in order to play a proper practice match. The squad trains with size 4 water polo balls. Target age of squad members is 12 – 15 years old. Youth Squad: This is our top squad for younger players. Training is with size 4 water polo balls in the full pool for 90 minutes each Sunday. There is also a land-based stretch & focus session for 10 minutes prior to entering the water meaning that the full training session lasts one hour and forty minutes. Target age of squad members is 13 – 16 years old. Senior Men and Ladies Squads: Despite the name “senior”, the best junior players also train in these squads alongside adult players. The men train with size 5 balls while the ladies use size 4. There are two training sessions per week. One is at Alleyn’s on Sundays from 7 to 8.30pm while the second is at West Wickham on Tuesdays from 8 to 10pm. Station Road West Wickham Kent BR4 0PY.